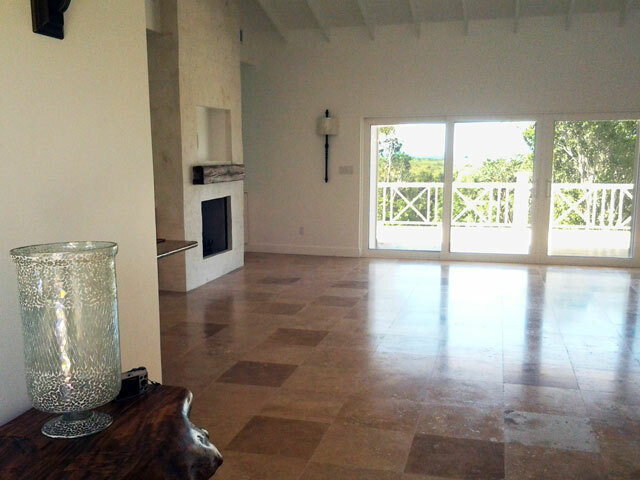 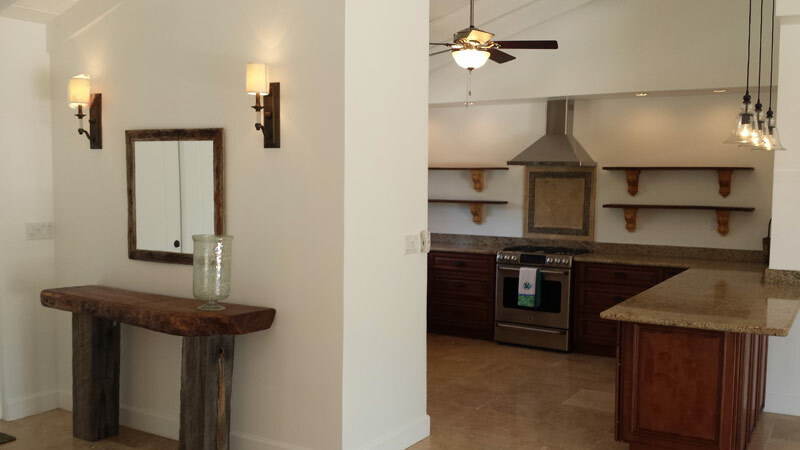 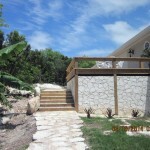 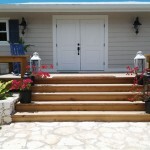 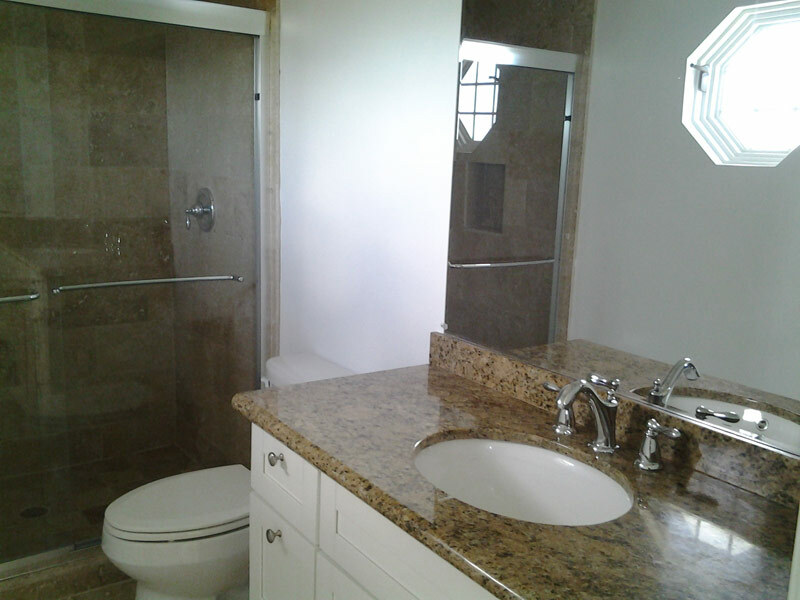 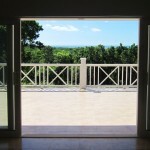 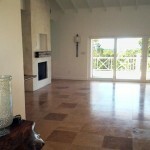 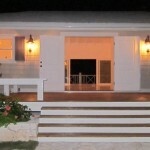 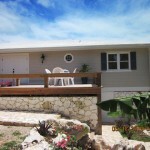 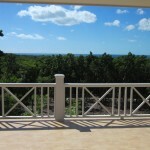 Brand new 3/ 3.5 designer home, overlooking Caribbean Sea and Pineapple Farms. 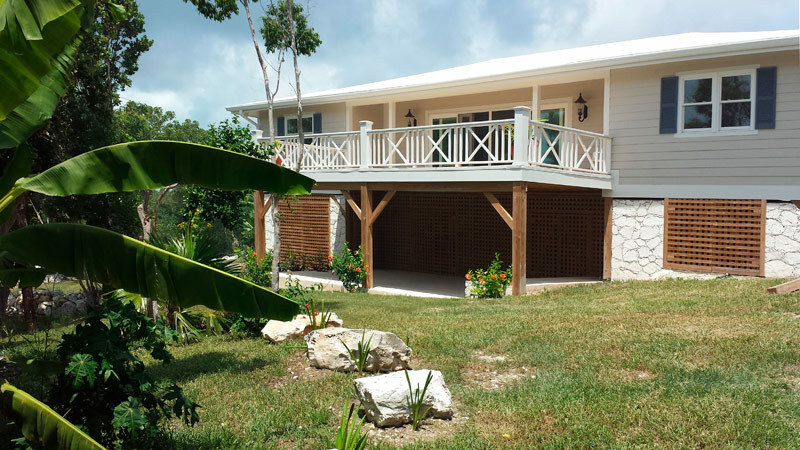 Exclusive Island Homes Gregory Town development on 1.23 acre elevated, landscaped estate lot, 2,400 sf a/c with 1600sf garage/utility downstairs. 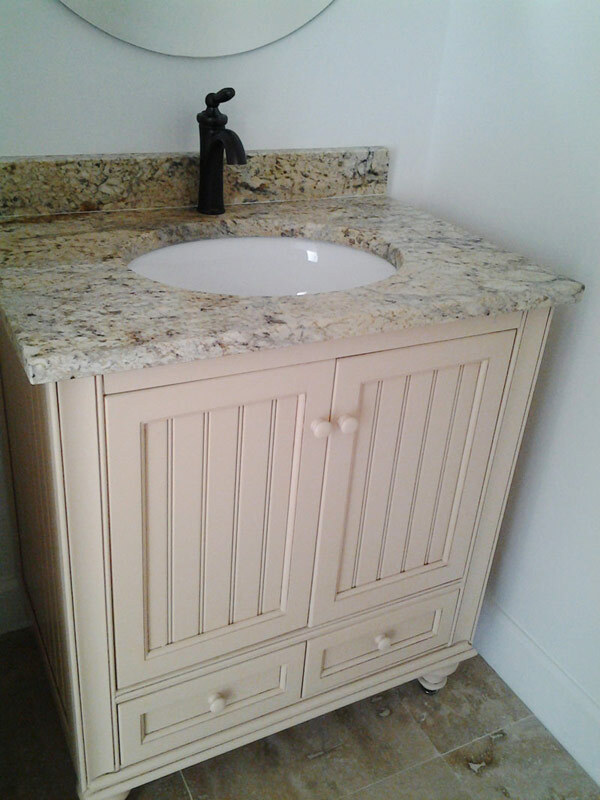 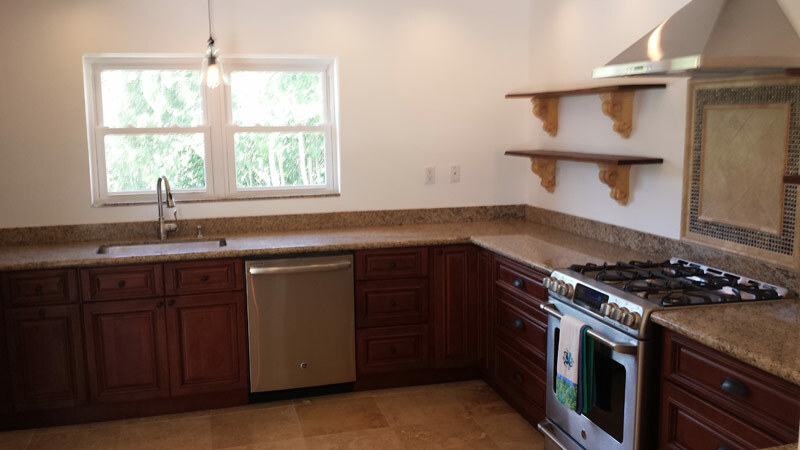 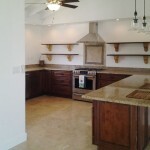 Granite counters, Travertine tile and stainless appliances blend for a unique Family Island retreat. 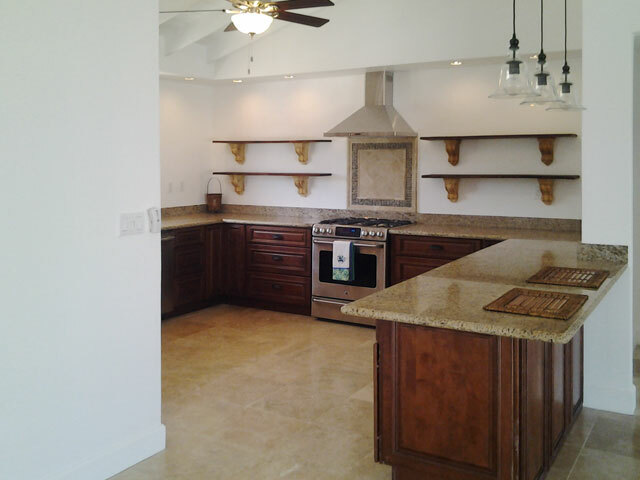 Scroll down for more photos, information and details. 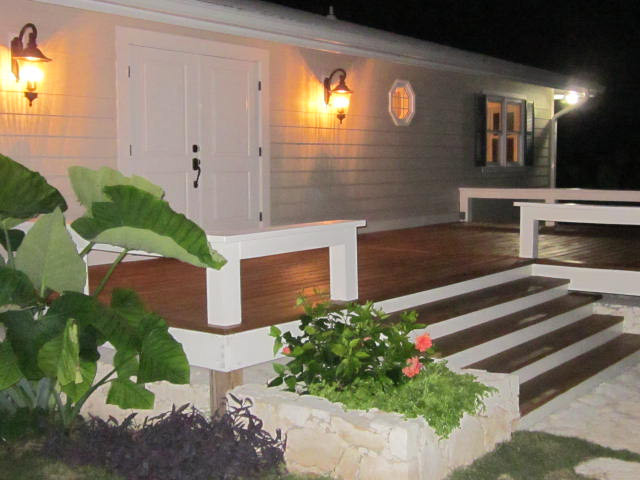 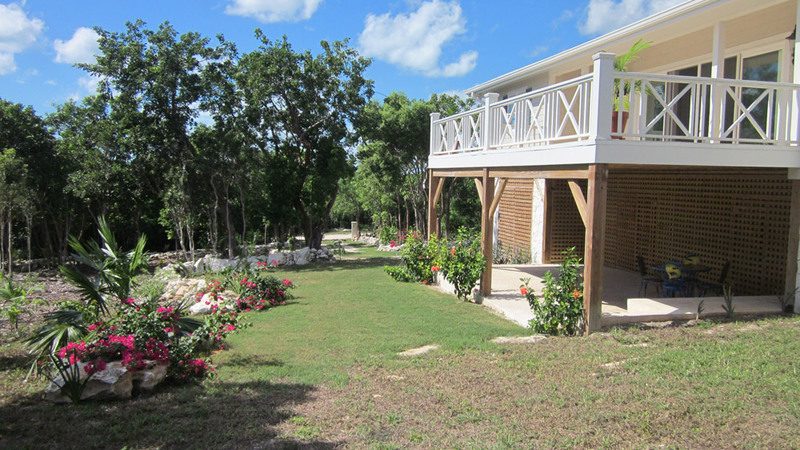 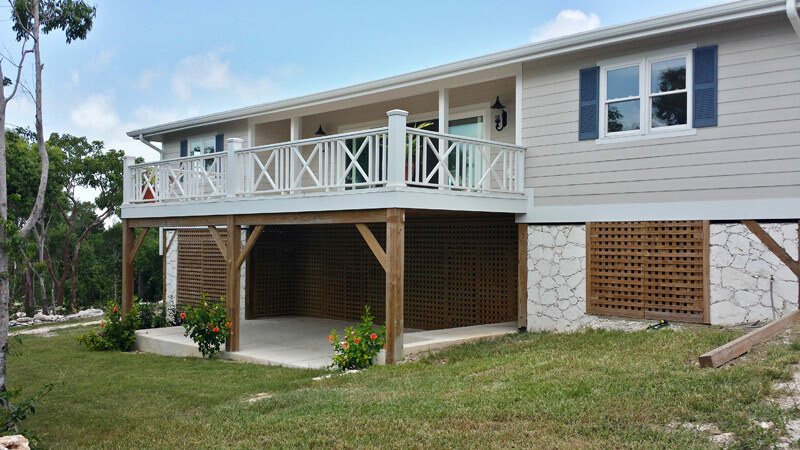 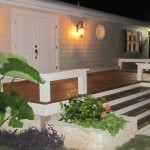 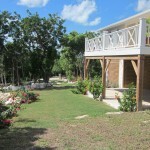 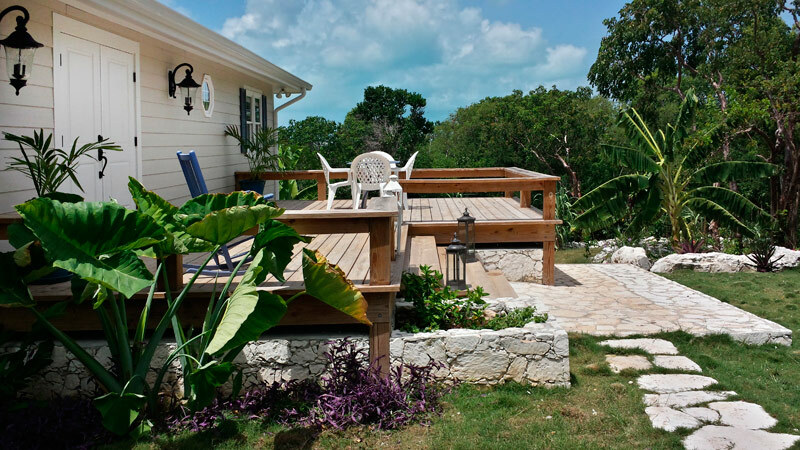 Lot F-3, located in Pineapple Hills, Gregory Town Eleuthera, Bahamas. 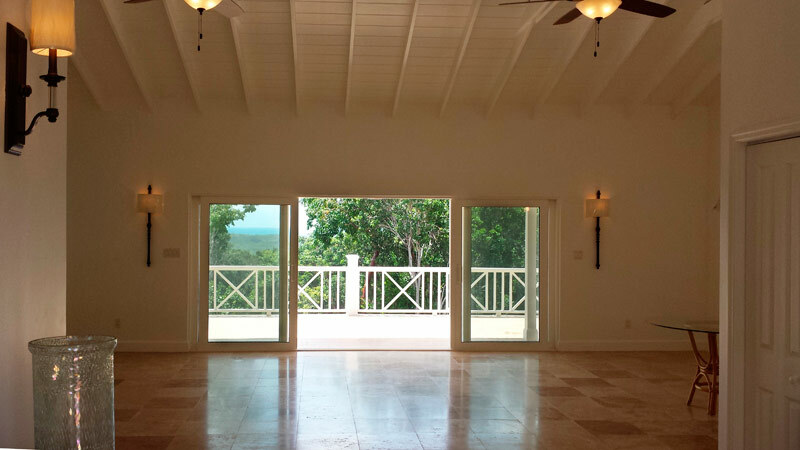 This island home is nestled within a gated development and working pineapple farm, 43 acre Pineapple Hills consists of 25 estate lots with two Atlantic beaches and underground utilities. 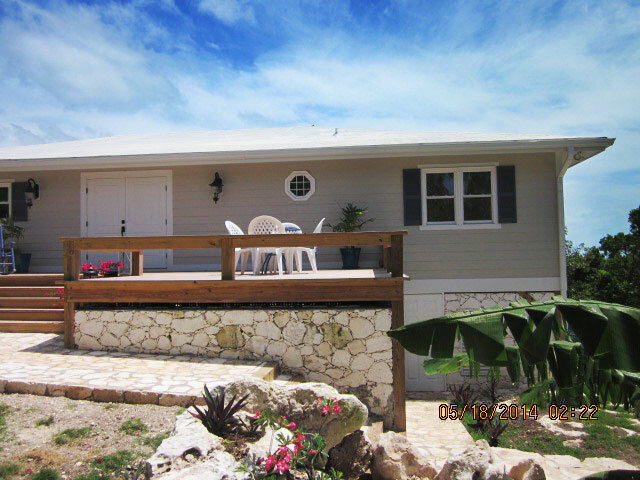 Pineapple Hills is located ¼ mile south of Gregory Town and ½ mile from the spectacular Cove Resort. 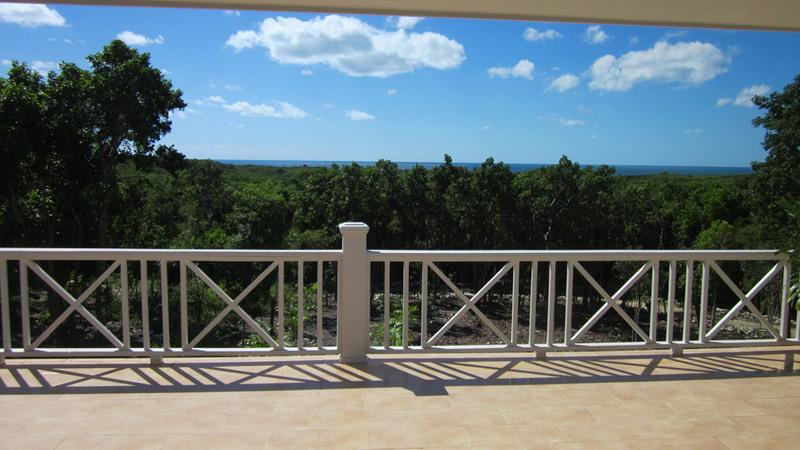 Elevated, partially wooded, landscaped lot (60-80ft above sea level) measuring 1.23 Acres (253ft x 231ft) with fantastic views of the Caribbean Sea and the rolling hills of surrounding farms. 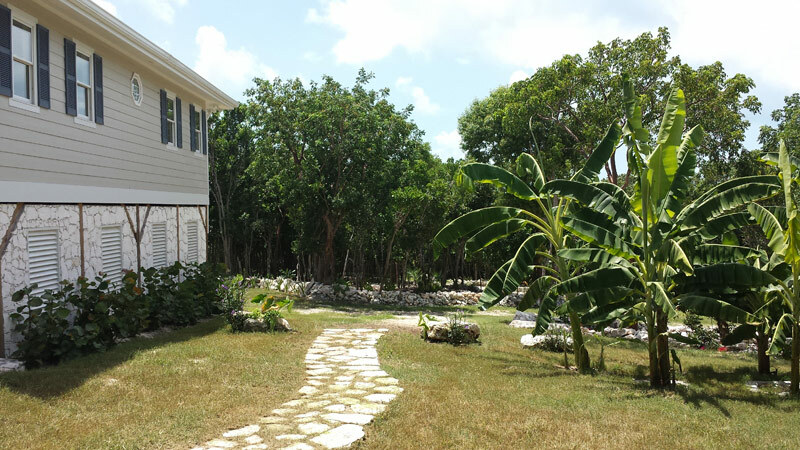 The lot is partially wooded with both native and citrus trees, orchids and natural foliage that compliment the landscaped lawns and stone walkways. 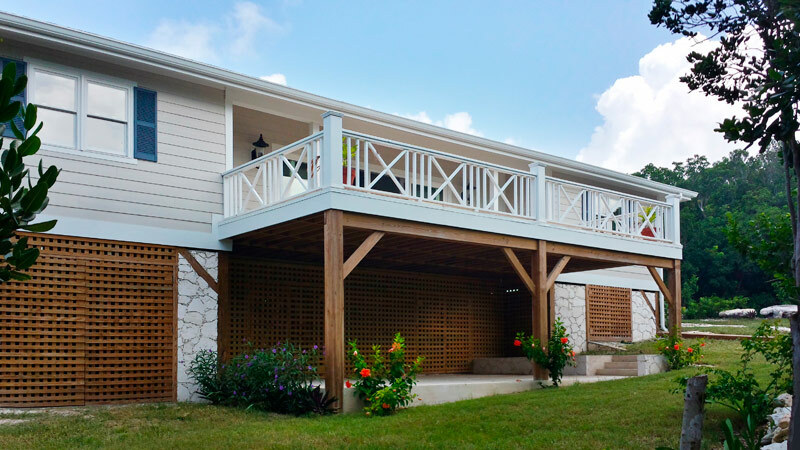 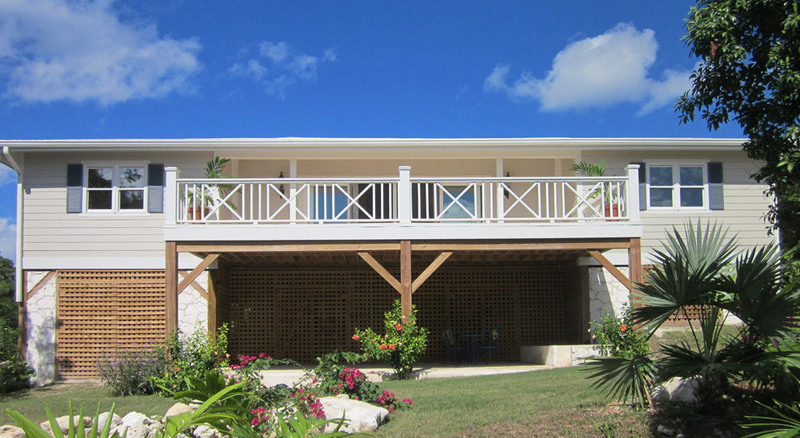 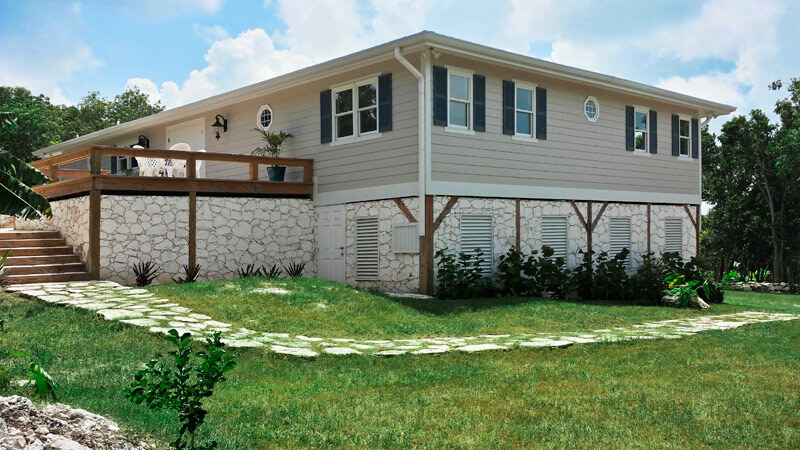 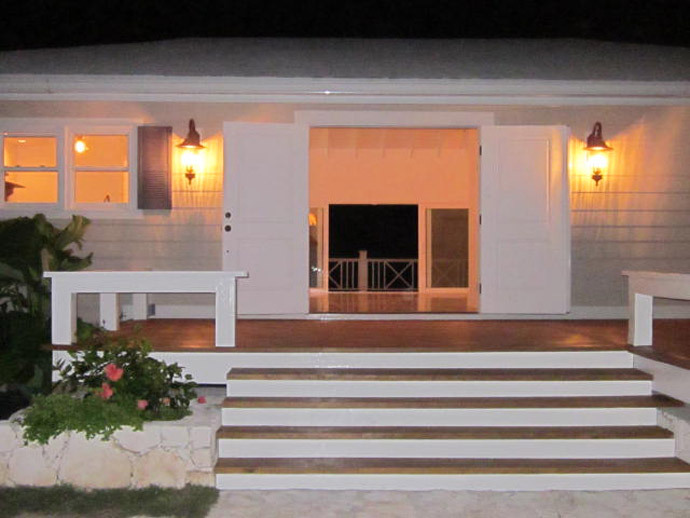 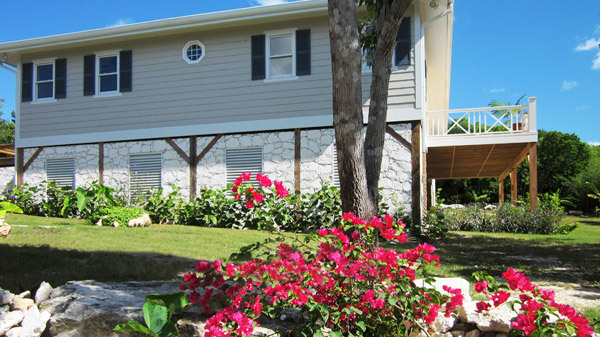 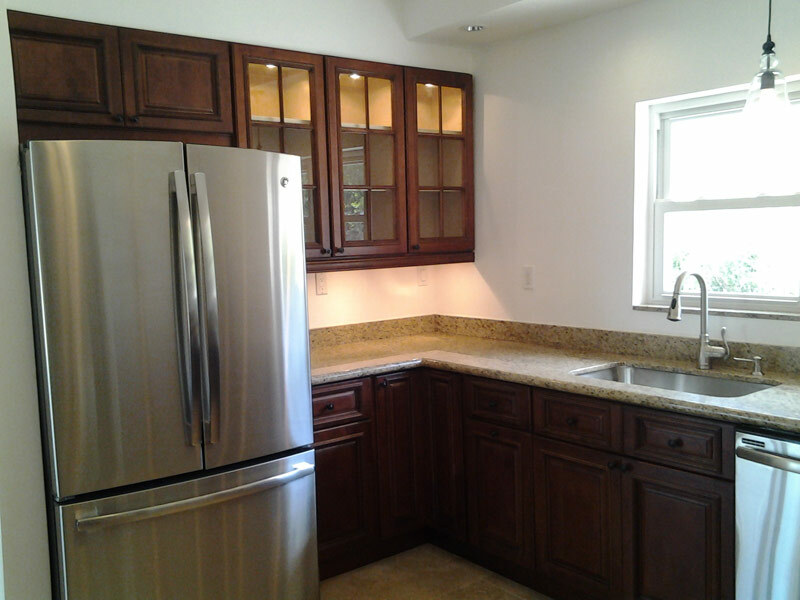 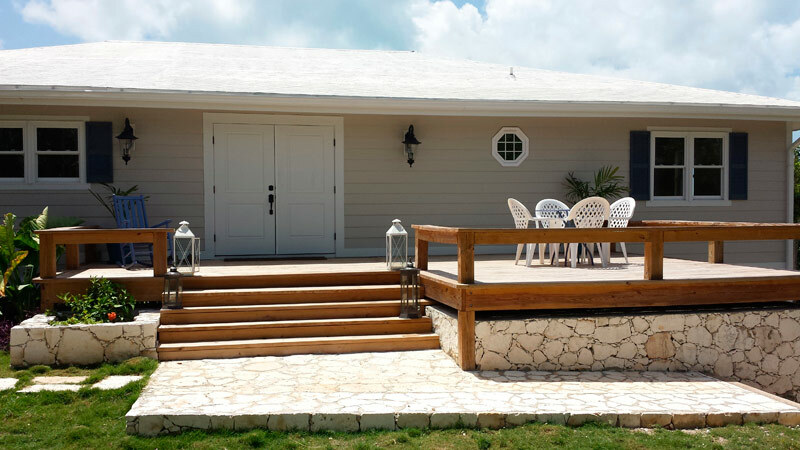 Caribbean House is a brand new “Island Homes” designer home built by the developers in 2014. 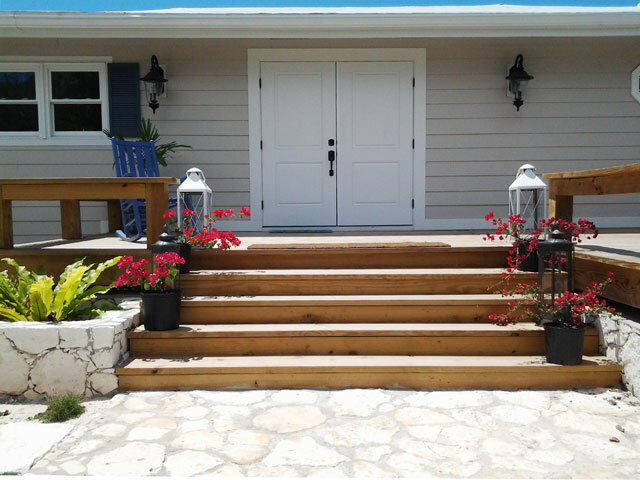 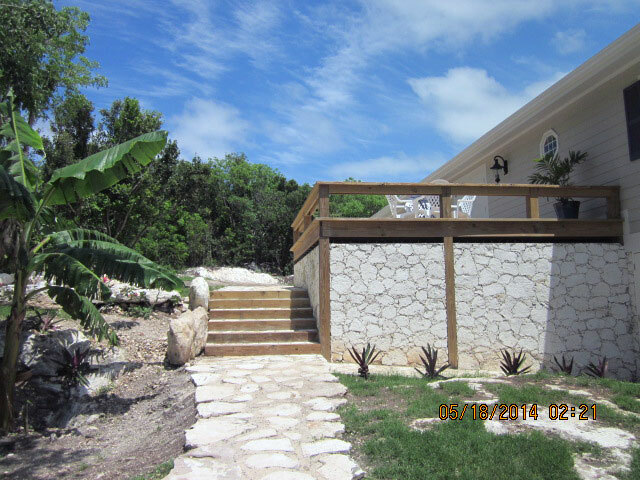 A two story post and beam structure with native hand cut limestone walls and Hardie system exterior measuring 2,400 sf a/c upstairs plus over 600sf in patios and decks, 1,600 sf utility/garage downstairs providing more than 4,600 sf of fantastic island style living. 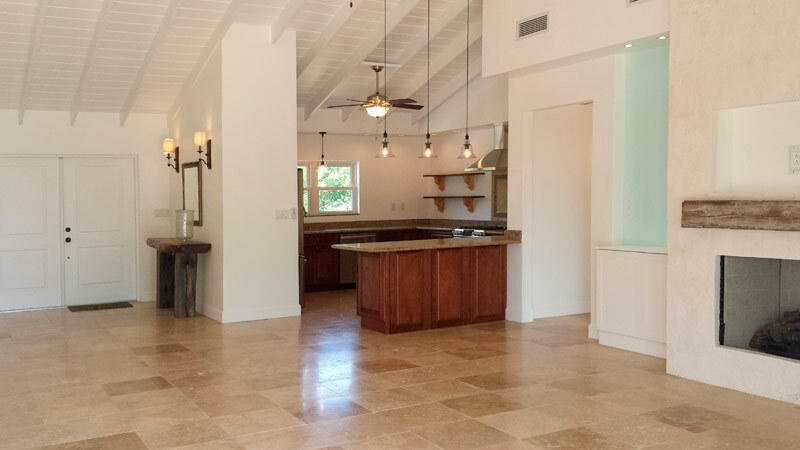 Upstairs area consists of 3 bedrooms with en-suite bath (master bath is a walk in w/ multi-head shower and bench), powder room, vaulted ceilings, Travertine marble floors, granite counter tops and native stone fireplace. 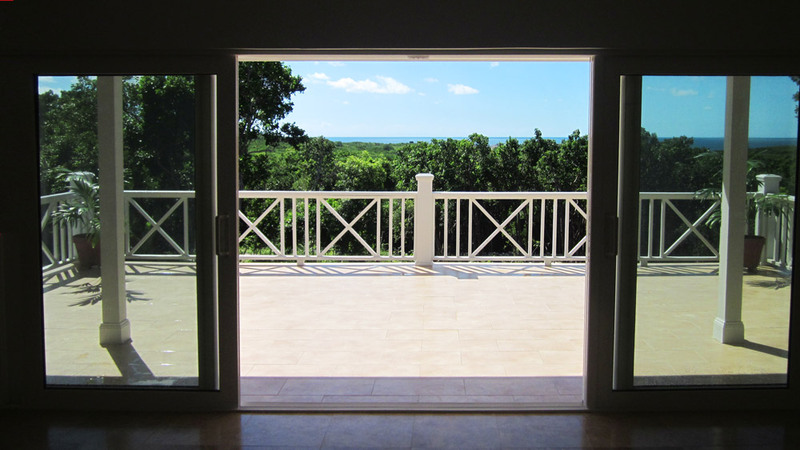 All exterior doors and windows are vinyl, impact rated. 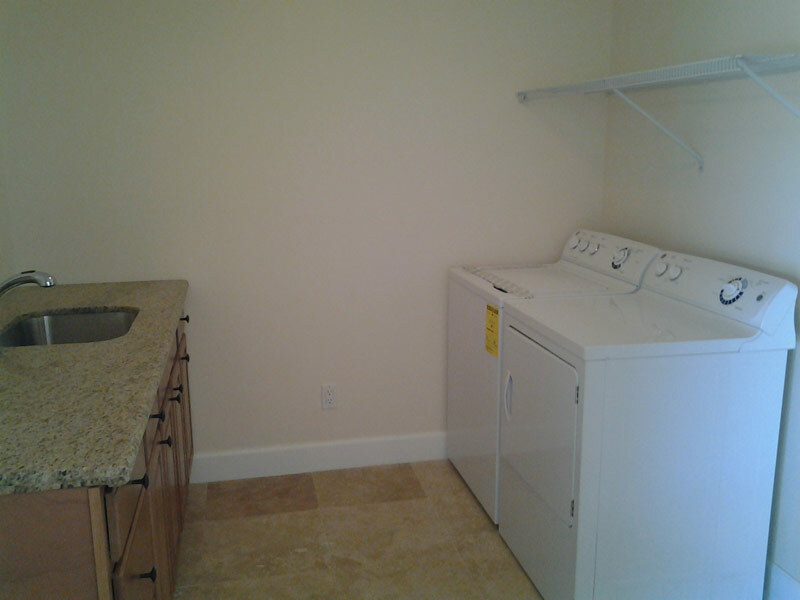 Stainless steel general electric: consists of french door refrigerator/freezer, five burner café model gas range w/ overhead vent/fan, dish washer, ice maker, microwave and gas fireplace, side by side washer and extra large dryer, two thirty gallon electric water heaters, two 400 gallon water holding tank with pump and pressure tank system. 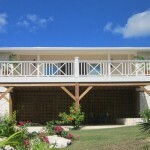 A/c consists of one 5 ton Lennox central unit for living areas and split systems for each bedroom. 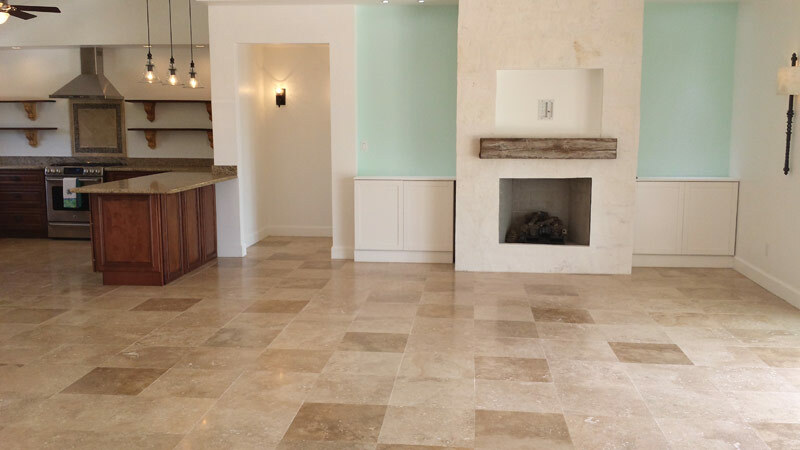 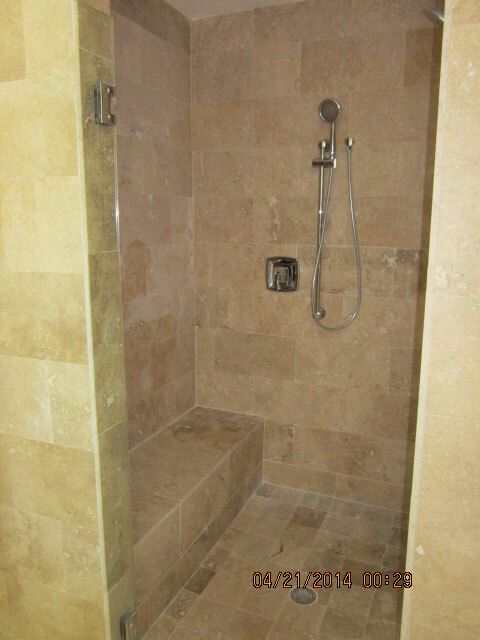 Focused attention to details and high end finishes make this contractor home an exceptional example of quality workmanship with luxury island living benefits.